(New York City, August 20, 2018) — Over 100 Armenian organizations and prominent individuals today issued a public letter to the Armenian government as well as Armenian political parties, international organizations and churches calling on them to condemn the recent attacks against Armenian LGBT activists and to promote legislative and policy changes to grant equality and end discrimination against LGBT persons in Armenia. The letter to the government followed in the wake of the recent violent attack on nine people, among them LGBT activists, in the village of Shurnukh in the Syunik region of Armenia on 3 August. The attack reflects a disturbing and persistent pattern of hatred and discrimination against the Armenian LGBT community. Reportedly, the police launched an investigation, questioned the victims and detained several suspected attackers on 3 August, releasing them the next day, but apparently have not brought charges against anyone. The law in Armenia fails to provide equal rights to LGBT persons in Armenia (see statement from Amnesty International). Armenian law does not prohibit discrimination against LGBT individuals in employment, housing, or social benefits, nor does it sanction as hate crimes attacks against LGBT persons. · issue a statement condemning all attacks against LGBT persons and a commitment to investigating and punishing perpetrators and providing protection for LGBT persons. It called on Armenian political parties to express their support for such a reform agenda and plan, and to issue their own condemnations of attacks against the LGBT community. It also called on international Armenian organizations, including Armenian churches of all denominations, to express their support for such a reform agenda and plan, and to issue their own condemnations of attacks against the LGBT community. Armenian voters and supporters of international organizations deserve to know where their parties and organizations stand on these issues. 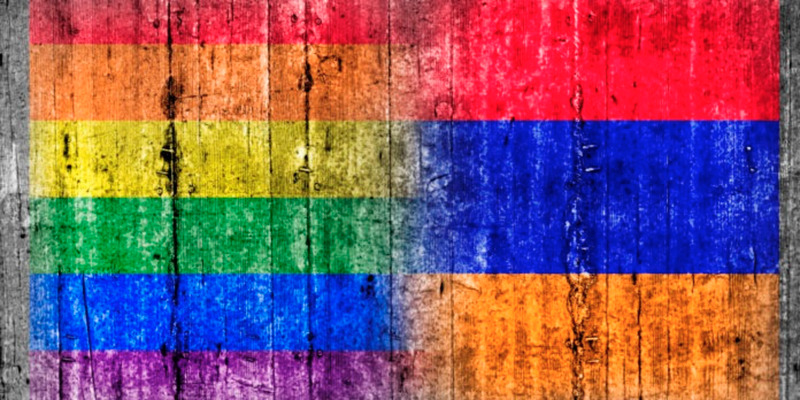 The recent attack on nine people, among them LGBT activists, in the village of Shurnukh in the Syunik region of Armenia reflects a disturbing and persistent pattern of hatred and discrimination against the Armenian LGBT community. Reportedly, the police have launched an investigation, questioned the victims and detained several suspected attackers on 3 August, releasing them the next day, but apparently have not brought charges against anyone. It is particularly disturbing that at least one member of parliament, Gevorg Petrosyan, from the Tsarukyan Faction, called for the expulsion of LGBT persons from Armenia on his Facebook page. While the statement of the Office of the Human Rights Defender was a welcome gesture, alone it is insufficient. The Armenian government urgently must address the policies, laws and social and political climate that continue to foster intolerance and violence against the LGBT and other vulnerable communities of Armenia. Without a clear plan for legislative and policy reform and education, such attacks will continue and the Armenian government will have failed to protect the LGBT community from violence and discrimination. The law in Armenia fails to provide equal rights to LGBT persons in Armenia (see statement from Amnesty International). Armenian law does not prohibit discrimination against LGBT individuals in employment, housing, or social benefits, nor does it sanction as hate crimes attacks against LGBT persons. The new government of Armenia has brought hope to many around the world that there will be true reform in the country to address issues of transparency, fairness, and equality. Reforms in the LGBT arena should be part of this promise for a new age. Outdated and false justifications based on “religion”, “culture” and “values” can no longer cover for hatred, violence and intolerance against Armenian LGBT persons. to issue a statement condemning all attacks against LGBT persons and a commitment to investigating and punishing perpetrators and providing protection for LGBT persons. We call on Armenian political parties to clearly express their support for such a reform agenda and plan, and to issue their own condemnations of attacks against the LGBT community. Every Armenian voter is entitled to know where each party stands on these issues. We call on international Armenian organizations, including Armenian churches of all denominations, to clearly express their support for such a reform agenda and plan, and to issue their own condemnations of attacks against the LGBT community. Every Armenian around the world who supports these organizations deserves to know where they stand on these issues.